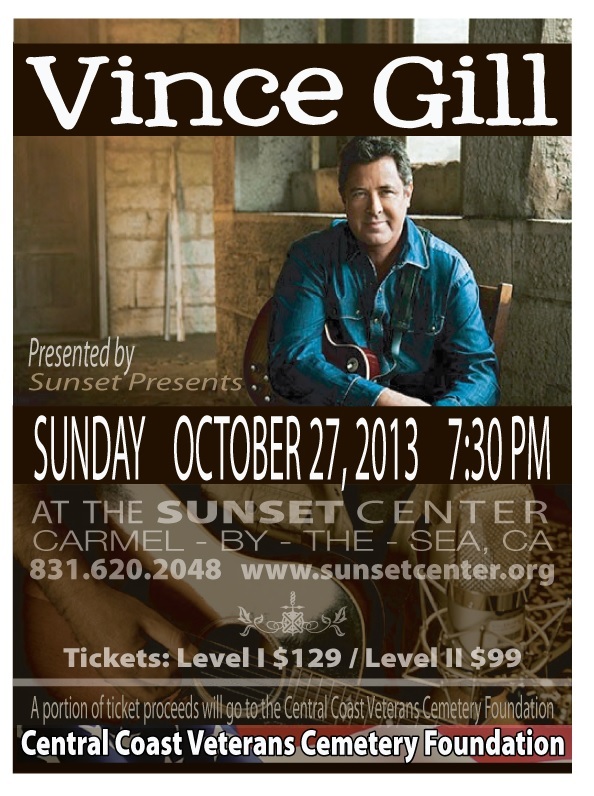 Proceeds from Vince Gill’s upcoming concert at the Sunset Center in Carmel, CA will support the CCVCF. A portion of the proceeds from all ticket sales will be donated to support the Cemetery. We are most grateful for the support of Mr. Gill, the Sunset Center, and the members of our community that have made this fundraiser possible. Tickets are still available. Call the Sunset Center at 831.620.2048 or visit online at SunsetCenter.org.